The sky on a cloudy day. 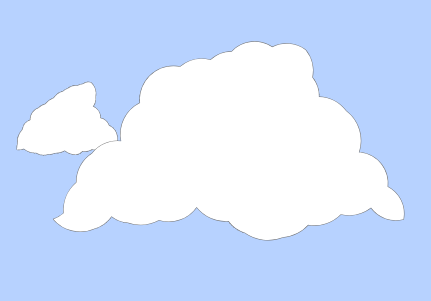 Each cloud is procedurally generated and different. I wanted to stick to the jam deadline, but I have a lot of things I'd like to improve. It feels like I could work on this particular project for years and never finish.